Description: A factory worker pulls long coconut husk fibres from a tumbling machine. The ground husks will be used for a variety of purposes such as a low cost plant mulch and soundproofing material. 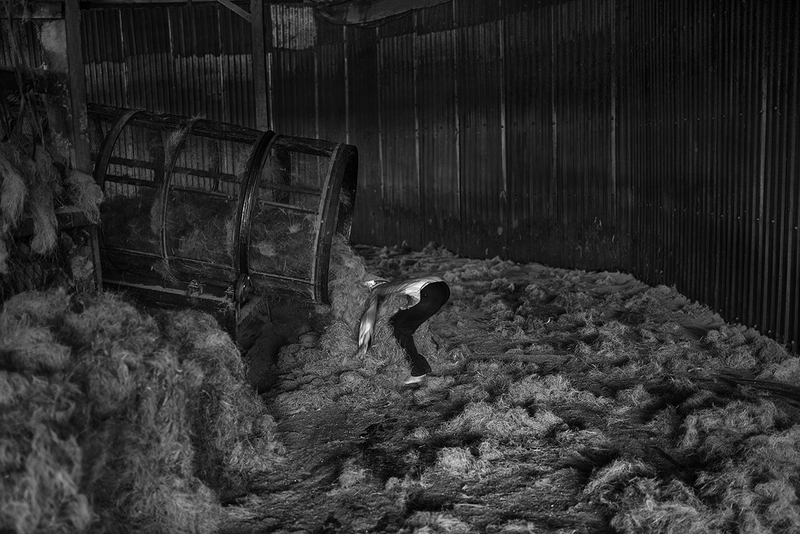 Caption: A factory worker pulls long coconut husk fibres from a tumbling machine. The ground husks will be used for a variety of purposes such as a low cost plant mulch and soundproofing material.